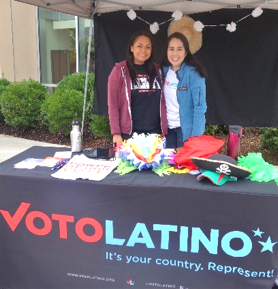 The first annual SABOR LATINO filled the plaza of the Yamhill Valley Campus of Chemeketa Community College with authentic “Latino flavor” throughout the day of September 24th. 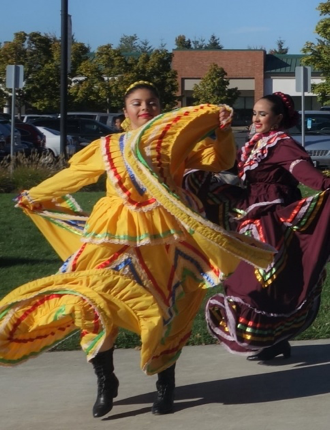 Children, youth, families, and elders enjoyed the lively and welcoming atmosphere as we celebrated the Latino culture that is reflected in 16% of our county’s residents. 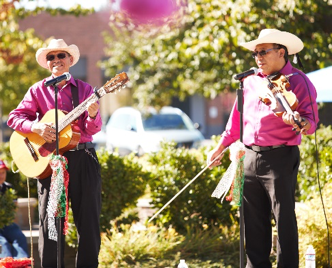 The Latino Advocacy Coalition of Yamhill County sponsored the fiesta to coincide with the nationally proclaimed Hispanic Heritage Month (Sep 15-Oct 15) as established by President Ronald Reagan in 1988. Initiating the festivities, Tanya Palacios inspired the intergenerational Zumba aficionados to warm the crowds with their vigorous dancing. As an autumn sun disbursed the clouds, a Mixtec duo from Portland shared ballads with guitar and fiddle provoking images of their homeland in Oaxaca, Mexico. The salsa, cumbia, and merengue dance steps of the Chemeketa dance troupe were sufficient to entice Ron Olisar to join when instructor and Chemeketa Dean, Elias Villegas, invited the audience to learn a few steps. “It was impossible to stand still, but we’ll need to practice a little more before we can take it on the road,” Ron smiled. 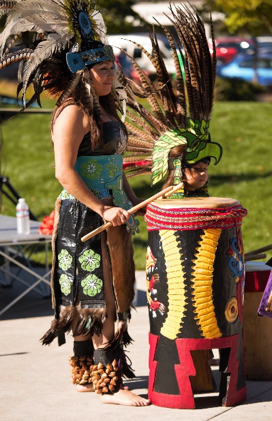 The Aztec dance group brought their energy that has enriched local members with knowledge of their indigenous roots in Mexico. Expressing gratitude to the Spirits of the Four Directions at the beginning and conclusion of their performance, the dance rituals provide a spiritual connection between the heavens and earth. Crowds gathered to watch the Ballet Folklórico Tlanese from Salem as colorful skirts swirled around the toe-tapping dancers. The artistry of the traditional costumes representing at least four different regions of the state enhanced the exacting rhythm and choreography of Old Mexico. 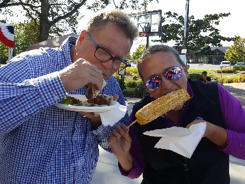 When the music and dancing worked up an appetite, vendors were ready to entice the audience with traditional Mexican tacos, churros, and mango lemonade. 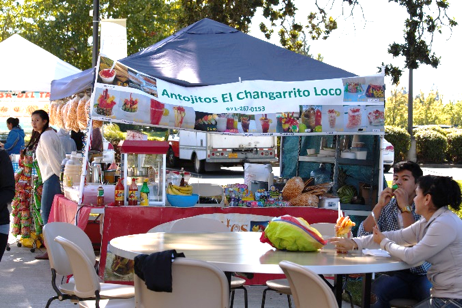 Food in hand, people strolled among the booths hosted by a variety of local organizations that provide services to the Latino community. While children may have been less interested in the information and brochures, they welcomed the craft-making, face painting, snacks, and games offered at these tables. The planning committee of Sabor Latino was pleased with the results of their hard work. 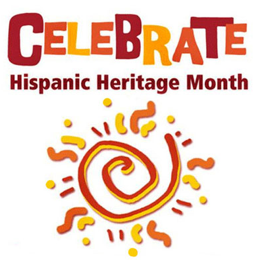 Families enjoyed being together and meeting their neighbors while breathing in the Latino flavor of the day.